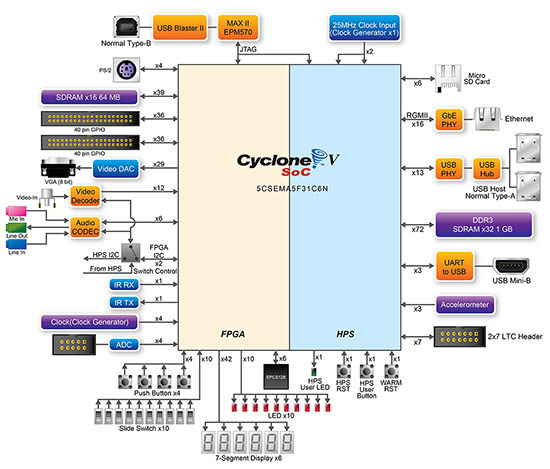 The DE1-SoC Development Kit presents a robust hardware design platform built around the Altera System-on-Chip (SoC) FPGA, which combines the latest dual-core Cortex-A9 embedded cores with industry-leading programmable logic for ultimate design flexibility. Users can now leverage the power of tremendous re-configurability paired with a high-performance, low-power processor system. Altera's SoC integrates an ARM-based hard processor system (HPS) consisting of processor, peripherals and memory interfaces tied seamlessly with the FPGA fabric using a high-bandwidth interconnect backbone. The DE1-SoC development board includes hardware such as high-speed DDR3 memory, video and audio capabilities, Ethernet networking, and much more. The DE1-SOC Development Kit contains all components needed to use the board in conjunction with a computer that runs the Microsoft Windows XP or later ( 64-bit OS and Quartus II 64-bit are required to compile projects for DE1-SoC ). 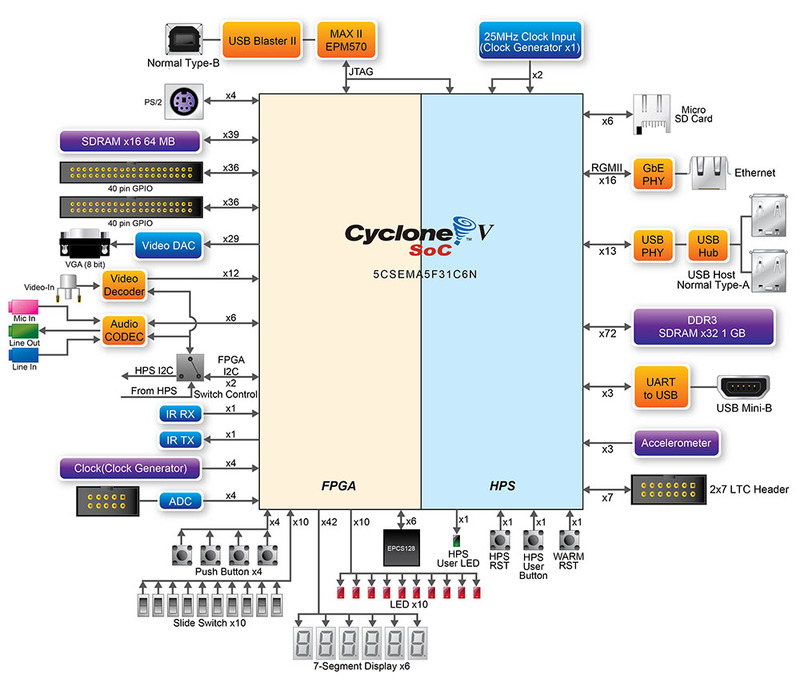 The DE1-SoC board has many features that allow users to implement a wide range of designed circuits, from simple circuits to various multimedia projects.